We are always committed to providing you with the best possible service. Patients are registered with the Practice, not with an individual GP. The patient has the right to express a preference of practitioner and the practice will do it’s best to accommodate every wish baring annual leave sickness etc. This preference will be recorded in your medical notes and we will do our best to respect your choice. You will be treated as an individual and will be shown courtesy and respect at all times, irrespective of your ethnic origin, religious belief, personal or the nature of your health problems. We will give you full information about the services we provide. Every effort will be made to ensure that you receive the information, which directly affects your health and the care being offered. We will provide you with appropriate treatment and advice. We will arrange a home visit if you are too ill to attend the surgery. Following discussion, you will receive the most appropriate care, given by suitably qualified people. We will answer your telephone enquiries as promptly as possible and in a helpful and courteous manner. We will make every effort to see you promptly at the surgery or give an appropriate explanation for the delay. We will inform you how to obtain the results of tests and x-rays. A doctor will be on call at all times for emergencies. Within the limitations of the law, you are entitled to see your health records. This should be discussed initially with the doctor, and a fee may be payable for this service. Practice staff involved in your care will give you their names on request, and ensure you know how to contact them. 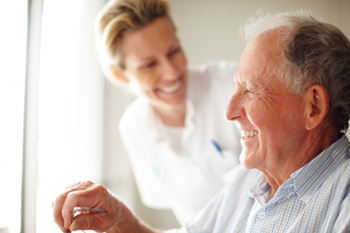 We will provide you with information about how to make suggestions or express concerns about the care we offer. We want to continue to improve our services and therefore welcome any comments you may have. Please pass your comments to the Doctor or the Practice Manager. We will maintain our practice accommodation to the standard required by NHS Regulations and Health and Safety requirements. We will provide appropriate facilities for disabled patients, including access to and within the building.